We have often heard that the success of an individual is based on two primary factors; opportunity and preparedness. Though this is true, we forget some great aspects of being prepared; our Personal Preparedness and our Circumstantial Preparedness. In order to understand this philosophy better it's important to understand our Circle of Concern and our Circle of Influence. The Circle Concern/Influence was first introduced by Stephen Covey in his book The 7 Habits of Highly Effective People. 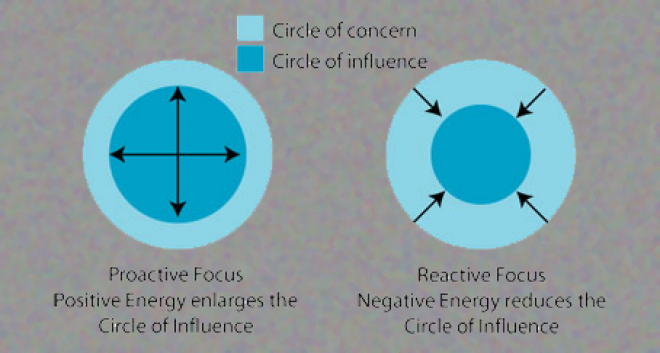 What Covey states is that we spend our time in one of two circles; Circle of Concern or Circle of Influence. CIRCLE OF CONCERNYour Circle of Concern is everything affects you but is completely out of your control. An example is perhaps you'd like your son to do well in school. Yet, what he does in school is your Circle of Concern because you have no control over him while he's there. Another example is that at your job, your process has moved to a different timezone, one that isn't necessarily convenient to you. Again we see the situation that affects us but we do not have a direct control over it. CIRCLE OF INFLUENCEYour Circle of Influence is everything that you do have control over. Let's take the same example of your son in school. How he behaves in school is out of your control but what is in your control is how you develop your relationship with him which could lead him to listen to you and take your advice seriously when you tell him to act a certain way in school. Or how about the example of your process which moved to a different inconvenient timezone? Here you have a choice, you can either complain about how bad it is (Focus on Circle of Concern) or see what's in your control and do what is necessary. Perhaps it's inconvenient because you've build your life around your former schedule and now its hard to make the move. If you focus on your Circle of Influence, you'll be able to help yourself resolve the issue by doing what is in your control. Perhaps speaking to your manager about the inconvenience and having him move you to a process that better suits you. Maybe changing aspects your life to fit the new schedule or perhaps considering another job that can lead to even greater successes that you were not exposed to at your previous company. Our preparedness is not only dependent on our personal ability but also on our environment. How we are placed with respect to our environment changes our overall circumstance which can be either supportive or destructive and rarely neutral. When preparing yourself, it is crucial for us to take into consider not only how we prepare ourselves but also how our environment prepares us. In the process of preparation we, more often than not, only consider the personal preparation for the accomplishment of a task. This blindsided approach can cause two very detrimental situations to crop up. Either it can underestimate or overestimate the applied effort of an individual. You might ask; “Why is it important for me to know the applied effort for me or others?” Let us first see what Applied Effort is. The applied effort is a very simple concept, it is the effort applied in accomplishing something. The applied effort quotient that two people might have in taking a test could be significantly different. One person could have to apply a 100% of effort while the other may be able to get the same score with only 50 or 60% of the effort. This is why results of a standardized form of testing should not be considered when forecasting the performer’s engagement or involvement towards any given subject. It is simply unfair because it does not provide a definite understanding of how hard that individual has had to work in order to get the score he got. It is important to know the Applied Effort quotient as it determines how much of an individual’s success is his personal effort and how much of it is the environmental push that helped him excel. For instance, in driving a car from point A to point B, two major forces affect the overall outcome (time, distance, fuel consumption, etc…) of the trip; the force pushing forward and the force holding back. The force pushing forward is the effort that the car has to make, this is the personal effort which is under one's control (Circle of Influence). The force holding back are the environmental constraints (wind, terrain, etc…), this is the environmental push/pull, which isn't under one's control (Circle of Concern). The environmental push/pull becomes the Circumstantial Preparedness which can be likened to the tailwind or headwind. And the personal effort becomes the Personal Preparedness which can be likened to the horsepower of the engine. Circumstantial Preparedness (tailwind/headwind) either makes life easier and tough challenges easily surmountable or difficult and minute challenges seem monumental. So how important are these factors in success of any form? We know that Opportunity + Preparedness = Success. Which means; 50% + 50% = 100% respectively, a very simple mathematical equation because both factors are equally important for a successful outcome. Opportunity is very Circle of Concern which is out of one's control in most cases, so let’s focus on preparedness because preparedness is Circle of Influence and in one's control. The two factors within the preparedness realm are also equally important as they are two sides of the same coin. They coexist in all situations. Hence; Personal Preparedness + Circumstantial Preparedness = Preparedness. 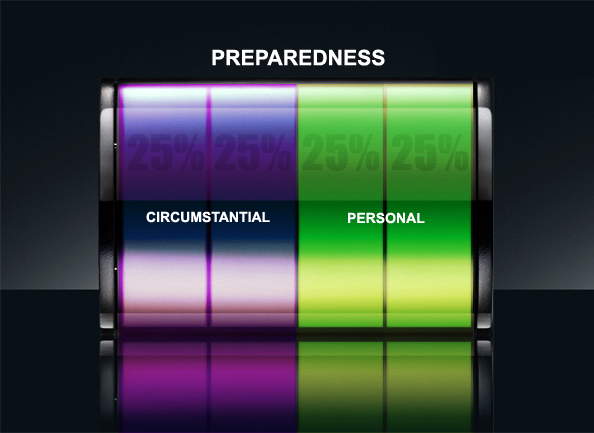 Which means; 50% (Personal) + 50% (Circumstantial) = 100% of Preparedness. Let's delve deeper into each of these factors of preparedness. Let's take into consideration a very well known public figure from whom we draw inspiration; Michael Phelps, most decorated Olympian of all time with 22 medals in swimming. What I am about to illustrate is not something extraordinary, it's perhaps the most obvious of all things we come across, yet neglected to a far extent when considering preparing ourselves. Michael Phelps was born in Rodgers Forge, Maryland. He started swimming at the age of seven and throughout his upcoming years had plenty of exposure and opportunity to swim. He swam for his elementary school, high school and college. When considering his exposure to the pool, it could very well be said that he spend a significant amount of his time in the pool. At the age of ten, Coach Bob Bowman noticed the talent and decided to build the skill further. Phelps quickly excelled with the support that he received from his friends, family and specifically his coach. By the age of 15, Phelps had over 10,000 hours of swimming under his belt and he had already broken the record of being the youngest male to compete in the Olympics (This proves Malcolm Gladwell's 10,000 Hour Rule correct).The future for this young athlete was bright. He consistently set new records as he competed in championships over the next 10 years. From the story of Michael Phelps we can see a great degree of sheer relentless effort and tenacity to be successful. Yet if dug slightly deeper one would learn that his environment was all the more incredibly conducive for him to be as successful as he became. His circumstance was primarily his Circle of Concern, an area on which he had but little control. This is the family he was born into, the school he attended, the coach that coached him for over 10 years, the opportunities he had to swim and enhance his skill level, etc... One must not negate the key role of all these intangible factors that played a critical role in his success. Phelps' story could be compared to any aspiring inner-city swimmer who did not get half the facilities that Phelps did to be as success as he became. And as a result the inner-city swimmer did not achieve half the success that Phelps did. As a matter of fact, the same holds true to Phelps' closest competitors in all of the above mentioned competitions. Being an underdog, like Rocky Balboa, in real life is a rare sighting. So does this mean that one is destined to a fate of mediocrity and failure if one is not born in a certain family or region or if he didn't attend a certain school or if he didn't have the necessary support system in place to assist him? Let us consider the implications of such a question. The Personal Preparedness of an individual is what is primarily considered when we consider preparation. That is his personal capabilities and capacities to do what is necessary to achieve the grade. Let us illustrate an example of what could be considered as the epitome of Personal Preparedness. Christopher Gardner, CEO of Gardner Rich and Co.. The movie, The Pursuit of Happyness was based on the life story of this entrepreneur. Growing up, Gardner did not have the most conducive environment and circumstance for growth and achievement. Gardner grew up in a foster home where he dabbled between his mother's home and the foster homes due to the instability of the foster homes that he was sent to. In his early experiences Gardner was exposed to alcoholism, domestic abuse, child abuse, illiteracy, fear and powerlessness and resolved he did not want these characteristics in his own life. On June 18, 1977, Chris Gardner married Sherry Dyson, a Virginia native and an educational expert in mathematics. With his knowledge, experience and contacts within the medical field, it appeared Gardner had his medical career plans laid out before him. Gardner was advised to consider more lucrative career options; a few days before his 26th birthday, he informed his wife, Sherry, of his plans to abandon his dreams of becoming a doctor. Their son, Christopher Jarrett Medina Gardner Jr., was born on January 28, 1981. Gardner worked as a research lab assistant at UCSF and at the Veterans' Hospital after leaving the service. His position as a research lab assistant paid only about $8,000 a year, which was not enough for him to support a family. He then took up a sales job selling medical equipment, which wasn't in demand at the time, to doctors and hospitals. Gardner got his "break" when he was accepted into a training program at Dean Witter Reynolds. He subsequently quit his sales job which raised questions of how he would afford to live. By quitting the sales job he was able to dedicate his time exclusively to training as a stockbroker. This decision of Gardner's convinced his wife that he wasn't going to amount to anything in life and talks of ending the relationship had sprung up. Chris Gardner is a true example of rag to riches through just about all sorts of life's challenges one can be confronted with. Despite his shortcomings Chris was able to become a success in his life because of his personal preparedness. He was able to increase his personal preparedness due to the lack in his circumstantial preparedness to give himself that 100% of preparedness necessary to strike the iron when the opportunity does present itself. What you read here are two extremes of one equation. One, where the circumstance acted as the tailwind, paving the way for the a smooth sail. While the other, where the circumstance acted as a headwind, causing the basic survival needs to seem monumental. 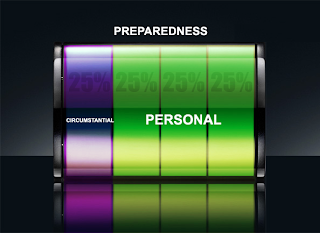 Consider your preparedness as a meter which has to be full in order for it to be of any use toward the final outcome i.e. success. Ideally, this meter has to be filled with 50% Circumstantial Preparedness and 50% Personal Preparedness. But life is far from ideal. We face situations and circumstances in life that render this equation at an imbalance. What we must understand, in order to successfully use this equation, is where we stand at any given point in time of our lives. There could be a time in your life when you're missing a bar (25%) in your Circumstantial Preparedness. The key there is to realize what you're missing. And at that point you need to greater your Personal Preparedness in order to compensate for what is missing in the Circumstantial Preparedness. 2. "Phelps' voyage". The Baltimore Sun. August 3, 2008. Archived from the original on September 5, 2010. 6. "2003 World Championships – Men's 200 m butterfly results (final)". Omega Timing. Retrieved 2010-06-12. 9. 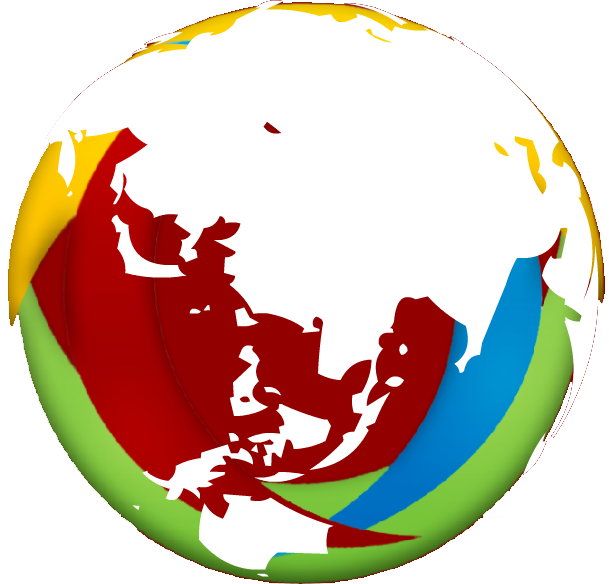 "2006 Pan Pacific Swimming Championships – Men's 200 m individual medley results (final)". Omega Timing. Retrieved 2010-06-12. 10. 12th FINA World Championships, Melbourne (AUS): Full Results Book: Records Broken By Event". Omega Timing. April 1, 2007. p. 190. Retrieved 2010-09-04. 11. "Phelps wins historic eighth gold medal". CNN. August 17, 2008. Archived from the original on August 25, 2010. Retrieved 2010-08-25. 12. Karen Crouse (August 2, 2009). "Phelps Leaves Rome With Another Gold". The New York Times. Retrieved 2009-08-05. 13. "2010 Pan Pacific Swimming Championships – 4×100 m medley relay results (final)". Omega Timing. Retrieved 2010-08-21. 14. "FINA World Championships, Swimming: Ryan Lochte Bests Michael Phelps For 200 Free Gold". Swimming World Magazine. July 26, 2011. Retrieved 2011-07-27. 15. "University of Michigan Official Athletic Site - Olympics". Mgoblue.Com. July 26, 2012. Retrieved 2012-08-01. 16. Gardner, Chris (2006). The Pursuit of Happyness. Amistad. ISBN 978-0-06-074487-8. 19. "The Pursuit of Happyness". Sony. December 2006. Retrieved 2010-07-14.